Suggested Emphasis or Theme: We can trust what God says. God changed the names of Abram and Sarai to Abraham and Sarah. Three men visited this couple and said that God would give them a child within the year. The promise was fulfilled when Sarah gave birth to a son, Isaac, one year later. Abraham was 100 years old and Sarah was 90. (Genesis 12:10-20) Abram and Sara go to Egypt during a famine. To protect himself, Abram allowed Pharaoh to take Sarai into his harem for a short time. (Genesis 14) Abram rescued Lot from danger. (Genesis 15) God made a covenant with Abram and says he will father a great nation. (Genesis 16) Impatient for the promise to be fulfilled Sarai asked Abram to father a son by Hagar, her servant girl. (Genesis 17) God restated his promise to Abram. 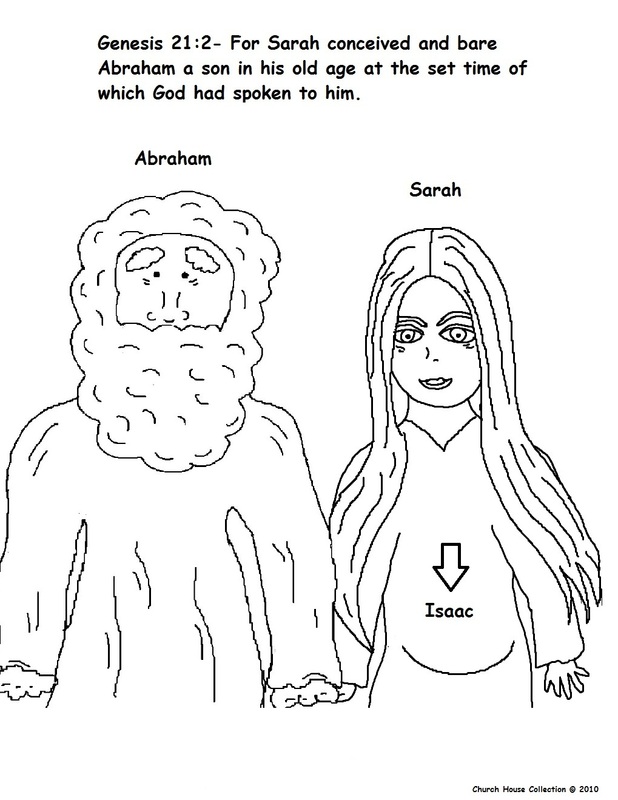 Abram’s name became Abraham and Sarai’s became Sarah. Circumcision instituted as a sign of God’s covenant. 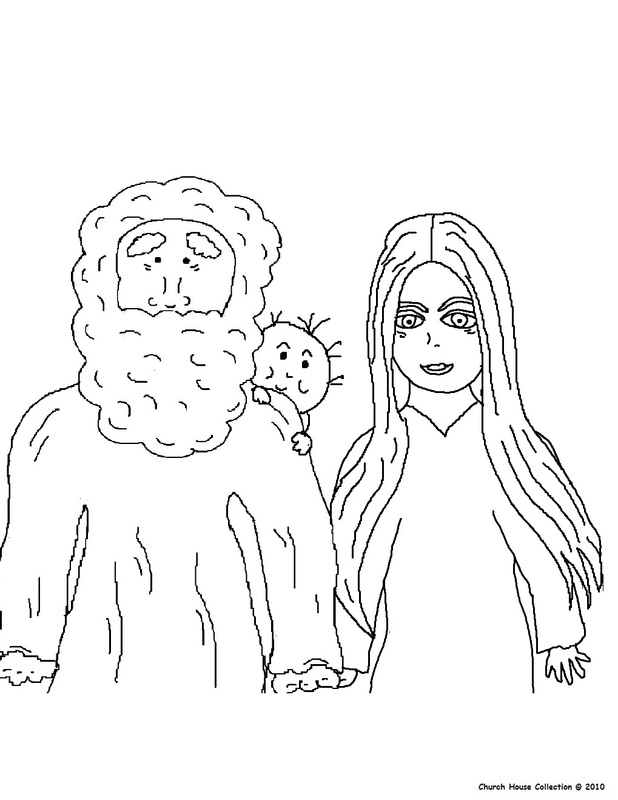 In today’s event Abraham and Sarah are visited by “3 men”. It is obvious that these are not just normal men because they just appear. Although Abraham had been sitting at his tent he looked up and they were standing nearby. Two of the visitors are angels (as later related in the story of Sodom and Gomorrah) but Abraham addresses one of them differently. This writer does not completely understand this but this particular visitor seems to be a manifestation of God himself. Abraham and Sarah offer the extreme hospitality well-known in middle-eastern culture and the visitors join them for a meal. At this time the Lord tells Abraham a son will be born to Sarah in one year. Note: After this the visitors leave and the 2 angels go on to Sodom and Gomorrah. Today’s lesson will leave that story for another time but skip on ahead and conclude with the birth of Isaac one year later as recorded in Genesis 21:1-7. Just as God had promised, a son was born one year after the visit from the 3 men. Abraham was 100 years old. The child was called “Isaac” which means “laughter”. This name makes sense because Abraham laughed when God first told him he would have a son in his old age (Genesis 17:17). Later, Sarah laughed from inside her tent when she overheard the 3 visitors repeat the promise (Genesis 18:11). In your Bible lesson today make sure the children understand the timeline. God made this promise first and then Isaac was born. God always keeps his promises. Abram and Sarai had brand new names. God told them to change their names to Abraham and Sarah. Once, Abraham sat by his tent, wishing again that he and Sarah had a son of their own. He remembered that God had promised, “I am going to give you children, Abraham.” But that was such a long time ago. Would God keep His promise? Abraham hoped so. He wanted a son very much. It was a very hot day! The sun was beating down, and no breeze was blowing. Suddenly Abraham looked up and saw three travellers coming toward his tent. Abraham bowed to the travellers and said, “Hello! Please stay awhile and rest under these trees near my tent. It’s cool and shady here. And if you’ll rest awhile, I’ll bring you water to wash your tired, dusty feet and give you something to eat and drink. Then the visitors accepted Abraham’s kind offer and settled down in the shade of the trees. Sarah was very surprised that the visitors knew what she was thinking. She hadn’t said anything out loud and yet they knew what she said to herself! These were not just ordinary visitors. One of the visitors was the Lord and the other two were angels. What do you think Abraham thought when he heard this good news? He was very happy. He knew his time of waiting would soon be over. He knew he could trust what God said. Why did the visitors come? Because God wanted Abraham to know about the baby. God wanted Abraham and Sarah to learn that they could trust what He said about a baby and they could trust what He said about other things. A year later, Sarah held a little baby boy in her arms. The baby’s name was Isaac. Sarah was so happy, she laughed. She had the little baby she had always wanted. When Isaac was born, Abraham was 100 years old and Sarah was 90.
Who were the three visitors who came to visit Abraham and Sarah? The Lord and two angels. Abraham and Sarah entertained guests. Younger children can pretend to make preparations for guests. Use a world record book to find out the ages of the oldest parents. Help older children use a bible concordance to look up Scriptures concerning the word of God. Key words could be “word” and “truth”. Use a fist puppet and tell the story from different perspectives. Example: Let the puppet be Abraham and let “Abraham” tell what happened to him that day. Or perhaps let the puppet be Sarah and let her tell her story. Bring a wrapped gift to class. It should have enough items (like biscuits, fruit or lollies) in it so that everyone will have some. Before you open the gift sit it in the middle of the table and talk about how difficult it is to wait for surprises like Christmas or birthdays. Abraham and Sarah had to wait a long time for God to do what He said and give them a child. After you discuss this then open the gift and share. Sing the song “Father Abraham”. THANK YOU I LEARNED A LOT, YOU HAVE BEEN HELPING ME THROUGH MY SUNDAY TEACHING WITH THE KIDS. That’s great, Fasleen. I’m so glad you can use these resources.